What Better Way to Celebrate Reading Than That! From decorating to motivating and crafts and treats too we've collected our favorite Seusspirations especially for you! 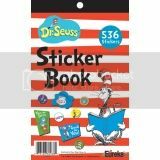 Dr. Seuss created colorful characters in imaginative lands. 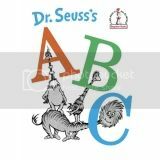 Set to wonderful prose his 46 children's books delight and inspire readers young and old. 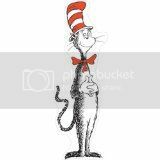 March 2, the birthday of Dr. Seuss, is celebrated as National Read Across America day. 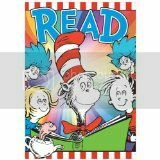 This day, designated by the National Education Association, is a great way to celebrate the amazing works of Dr. Seuss and inspire the child in all of us to continue to read. 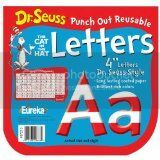 Bulletin board sets, letters and more will let your students know what's in store! 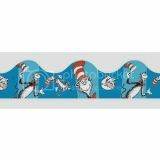 This set contains 4 die-cut panels which piece together to create a Cat that is over 5 feet tall! Everyone loves awards, everyone loves fun! Your students are sure to want more than one! Something to do and something to eat, these top repinned Pins are surely a treat! Celebrate reading, celebrate fun! 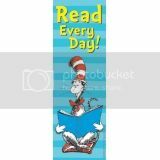 Let Dr. Seuss books and characters bring out the love of reading in everyone! 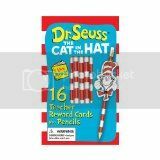 Find more great Dr. Seuss ideas by following us on Pinterest!